With the demand for cloud accounting growing exponentially, you cannot afford to be left behind. Cloud accounting is now a reality and it will change the way you run your business – no more lost backups or locking clients out of their data files. This comprehensive Xero classroom training or online Xero course will allow participants to attain a strong command of the versatile Xero accounting software. It is ideal for accounts administrators, accounts payable & receivable officer, accountants, bookkeepers and business owners who are interested in migrating to the cloud accounting software. 1-day intensive classroom workshop led by a qualified BAS agent and Xero-certified trainer. 6 CPD hours, refreshments and lunch included. Take home the hard copy workbook with your notes from the day. Online Learning of Xero is a convenient, effective and affordable way to learn. You can complete the Xero online training at your own pace. Whether you’re a beginner, an experienced user, or somewhere in between, you’ll find valuable knowledge that can be accessed again and again. 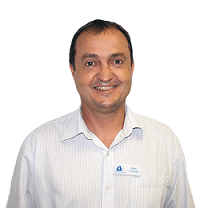 Brett has over 20 years experience at the forefront of accounting software training. 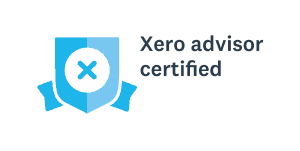 Applied Education was one of the first companies in Western Australia to deliver and write Xero Accounting training courses, and we pride ourselves on our outstanding accounting knowledge and experience to deliver a thorough and comprehensive training course. Janelle is a Xero-certified trainer at Applied Education and also a registered BAS Agent. She holds Certificate IV qualifications in accounting and bookkeeping, and is a member of the Institute of Certified Bookkeepers. She always ensures her students leave with a sound understanding of the accounting processes and capabilities of Xero.